A big ol' pile of buns. Photo by knesje in the Londonist Flickr Pool. Get ready for sticky fingers and a sugar high. We’ll put the kettle on. Are these the stickiest cinnamon buns in London? Quite possibly. These little beauties, from one of London's best bakeries, are made from an enriched dough, which means they contain butter, milk and sugar, like a brioche or challah. The dough is rolled out nice and thin, then smeared with pastry cream and sprinkled with cinnamon sugar, pecans and raisins. 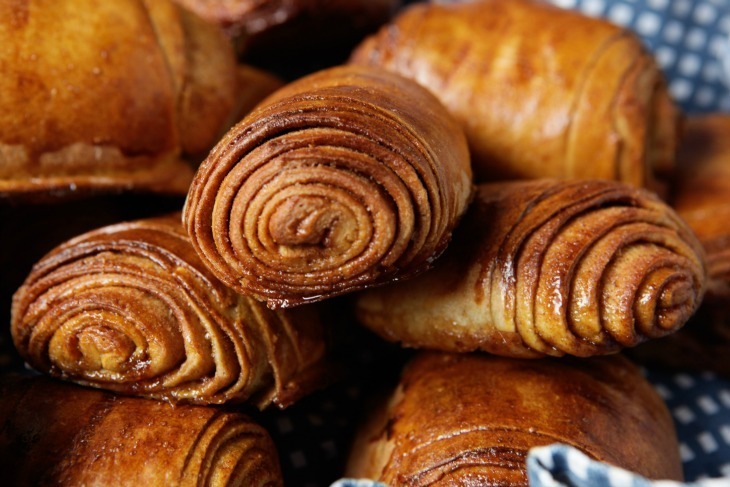 They're rolled up, baked and finished with a top secret bun glaze, and more chopped pecans. We'll see you there. Brick House, 1 Zenoria Street, SE22 8HP. Buns are £4 each. Sticky fingers. The bun at Brick House. We love Violet, which is run by Claire Ptak, a food writer and stylist who started her business as a stall on Broadway Market before moving onto a permanent bakery (the market stall is still running, too). What we love about her buns is the heavy dusting of sugar they receive after baking. They're as much a pleasure to eat as a good doughnut, the sugar all over your face and hands. No licking your lips, now. Violet Bakery, 47 Wilton Way, E8 3ED (shop) and Broadway Market, E8 (stall). Buns are £2.60 each. 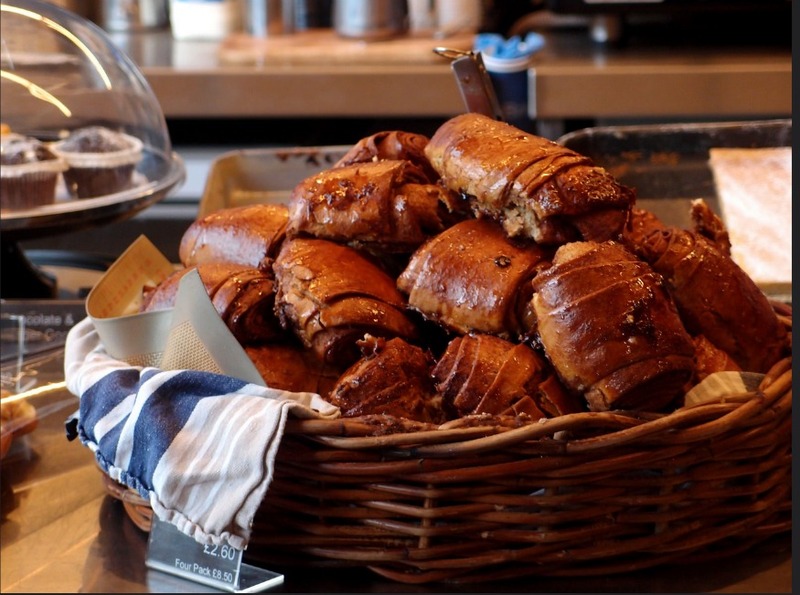 The buns at Nordic Bakery are now famous in London. Their classic swirly snail shape means lots of layers for all the sticky sugar goo to soak into, and the cinnamon flavour intensifies as you eat through the bun — that middle section is to be prized and protected at all costs. There's cardamom too, and a little lemon juice in the glaze to keep things balanced. Nordic Bakery, see website for locations. Buns are £2.80 each. 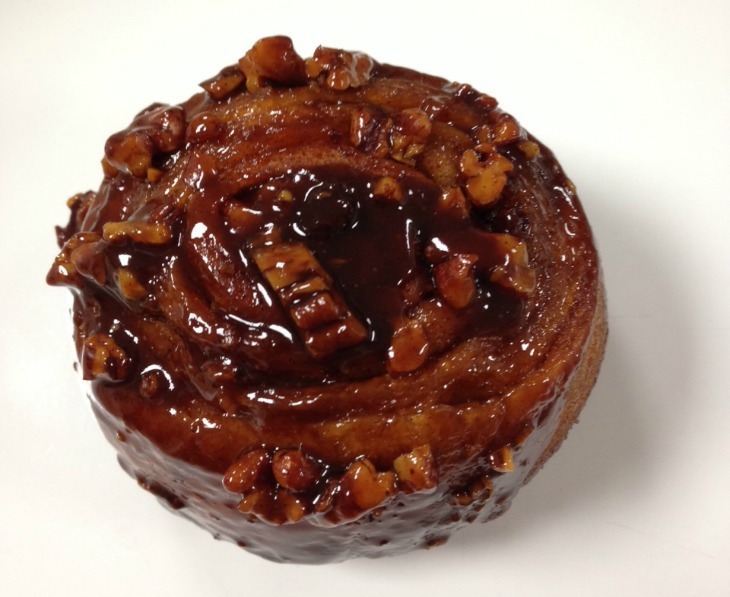 The Nordic Bakery cinnamon bun. We love the knotted style of these buns from Swedish bakery Fabrique. Filled with generous amounts of cinnamon butter (plus a teeny touch of cardamom) and finished with a sprinkling of pearl sugar, they're consistently among the most popular buns in London. Find them next to Hoxton train station. Fabrique Bakery, Arch 385, Geffrye St, E2 8HZ. Buns are £2.50 each.